Secondary AML is associated with a disproportionately poor prognosis, consistently shown to exhibit inferior response rates, event-free survival, and overall survival in comparison with de novo AML. 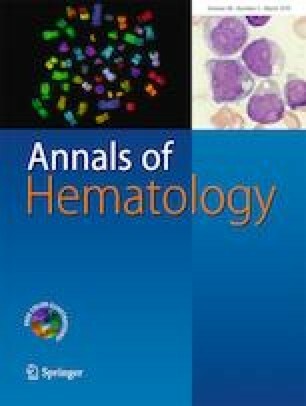 Secondary AML may arise from the evolution of an antecedent hematologic disorder, or it may arise as a complication of prior cytotoxic chemotherapy or radiation therapy in the case of therapy-related AML. Because of the high frequency of poor-risk cytogenetics and high-risk molecular features, such as alterations in TP53, leukemic clones are often inherently chemoresistant. Standard of care induction had long remained conventional 7 + 3 until its reformulation as CPX-351, recently FDA approved specifically for secondary AML. However, recent data also suggests relatively favorable outcomes with regimens based on high-dose cytarabine or hypomethylating agents. With several investigational agents being studied, the therapeutic landscape becomes even more complex, and the treatment approach involves patient-specific, disease-specific, and therapy-specific considerations.